Because he is fit, he hasn't over done it. He looks strong enough to carry his bride over the threshold without getting out of breath, whereas arnold looks like some kind of animal (gorilla maybe?) and now that he's older he doesn't look well at all...Paul Newman aged well and still looked like he had a pretty great body! Lee, I am sure that you will find plenty of women who will agree with you. I remember being jealous of his body when I watched "Cool Hand Luke." 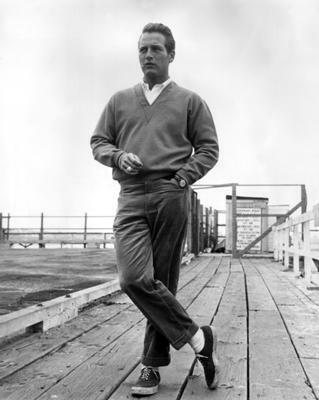 For you I found this picture of Paul Newman that you may not have seen.